When building furniture, you need your workbench to be able to hold your boards to accurately work the faces, edges and ends. 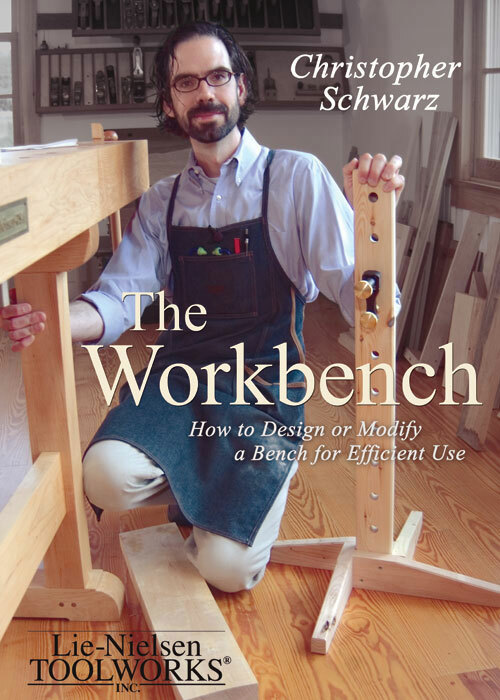 Chris Schwarz has built and used ten different types of workbenches and has experimented with many work holding challenges and solutions. In this DVD he demonstrates various strategies for holding the workpiece for these essential tasks, by designing or modifying a workbench for efficient use. While this DVD does show ways to accessorize and modify your existing workbench, this is really something you want to watch BEFORE you build your workbench. Chris does a great job of showing the various ways one might use a workbench, and how the bench can be designed to accommodate these things. In fact, this video is a nice compliment to Chris’s workbench books. The DVD is jam-packed with tips and tricks and you’ll likely need to watch it multiple times to pick everything up. In addition to the workbench information, Chris shows us some general tips for chiseling, sawing, and planing.